Born in the North of France, Chef Patrick Caals obtained the “Certificat d’Aptitude Professionnelle (CAP)” and then a “Brevet d’Études professionnelles (BEP)” in cuisine, and finally a “Certificat d’Aptitude Professionnelle (CAP)” in pastry. Chef Caals started his career working in cuisine and pastry in restaurants throughout France and Belgium. In 1990, Chef Caals worked as a commis with Fauchon (a luxury food store) and went on to work for Yves Thuriès at Le Grand Écuyer in 1993. In 1998, he decided to pursue his career in Paris and found the opportunity to polish his skills and enhance his reputation becoming a “chef de partie” in the fine dining restaurant of the Ambassador hotel. He then works three years working as “second de cuisine” at the famous Maxim’s. In 2001, Chef Caals decided to become a teacher and remained at the Institut Paul Bocuse in Lyon until 2006 when he moved to the Groupe Alain Ducasse. 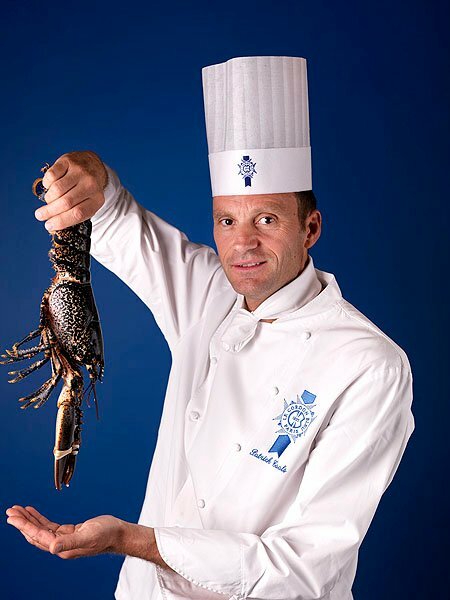 In 2008, Chef Caals joined Le Cordon Bleu Paris team of Chef Instructors.